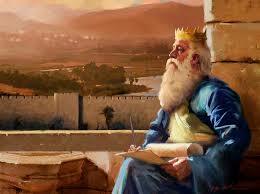 I had the honor to give a session where the client (a practitioner & friend) had a life as a son of King Solomon. We were discussing how to achieve the level of light in the body that this client had as King Solomon’s son. The son began a conversation that carried throughout the session about the importance of her putting crystals in her water. She and I thought it might be a good suggestion for anyone who is open. Remember light and sound are vibration. Very, very important. It’s the vibration that will transform us from the physical to the light. It’s not a death; just a light that to be carried, needs to be carried. (Suz) How can we raise that light and physical vibration within the physical body? (SOS) Crystals in your water. Sending energetic information into the crystal, putting the crystal into water and drinking it. Drinking the (crystal water) will turn into crystalline into the body. It’s already there but it’s not very activated. If the people could do that, they could go to that dimension (where King Solomon would take his son to to teach him). They activate by putting the crystal in the water. It’s important now. It’s urgent now so that you can experience the Covenant of Consciousness, the vibration so that you know what is illusion and what is not. And so that you feel reconnected to what is not the illusion which is the vibration; the same as we call Source. The SOS suggested using a clear quartz crystal or a crystal that had white, light blue and gold through it. I’m not certain which one that would be? Anyone?? Second would be the Labradorit/Spektrolit it shimmers in many colours under light, but white isn’t under it. To simplify, it shows you that everything is an illusion. Third would be the Pietersit, a coglomerate of tiger and hawkeye (Tiger- & Falkenauge)’ but rarely white is under the colour, though gold and blue are common. Thanks for this article. I have felt guided to do this for quite a while now. I put the crystal in the jug of filtered water and place near the window so the water and crystal get the sun. I didn’t know why but now I do. I really don’t want to interfere here with your guidance, but I need to tell you that you should never put Water in the sun & drink it, thinking it will be more vitalized as in fact you are actually damaging it….Water needs to be kept cool & in a dark place in order for it to maintain optimum benefits for imprinting then best for you to drink. You may want to read this overview by Viktor Schauberger (the Water Wizard)….just a helpful suggestion & insight to your awareness. Namaste Suzanne – I’ve posted the info on the crystal used for energizing water/aura etc. at another website but none of them seem to comprehend the info. I thought that I’d share the info with you here. I have compiled a lot of materials on crystals, gemstones and semi-precious stones for many years. The stone which SOS is talking about is called ‘Rutilated Quartz’. Some call it ‘Angel Hair Quartz’ – the golden yellow piece. Clear quartz with metallic golden rutile, copper or blue/grey. Titanium fibers that powerfully electrically conduct & amplify energy, thoughts, programming for healing. Intensifies & deepens altered states. Opens 6th & 7th Chakras for meditation, clairvoyance, telepathy, insight. rejuvenation. Androgynous. CHAKRAS: Brow & Crown. Rutilated quartz assists one in getting to the root of a problem and helps access the reason for a disease or discomfort, so one can remedy the situation. It stabilizes relationships, marriage imbalances and brings strength with love, growth in all areas, and calm, reason and order. Enhances life – force, strengthens immune systems, and brain function. Facilitates communication, increases clairvoyance. Highly electrical, more intensity than clear quartz, repels negativity, enhances communication with spirit guides. Been known as a great physical healer, brings awareness of the reason for a disease so that one is able to correct the problem. Now this stone is being used to bring the evolving human into earth resonant frequency so that they may experience the ascension process with ease. Associated with creativity and positive direction. Also known as the “Venus Hair” stone. It is also helpful in stabilizing marriages and other relationships, as well as, emotional and physical imbalances. Regeneration of tissue throughout body and enhances life force. Strengthens immunity system and stimulates brain functions. Eases depressions, facilitates inspiration and increases clairvoyance. Pierces through layers of physical/emotional/mental density. Enhances communication with Higher Self and Spirit Guides. A very powerful healer and the stone have translucent champagne colour with darker lines. In the past this stone was primarily used to heal the physical body and assist with tissue regeneration after injury. Helps the body to restructure according to accelerated DNA patterning. May be used to assist in healing injuries by reminding the body of the accelerated DNA pattern thereby speeding recovery. It has been used in the treatment of bronchitis, to promote lactation and to put a “sparkle” in the eyes.